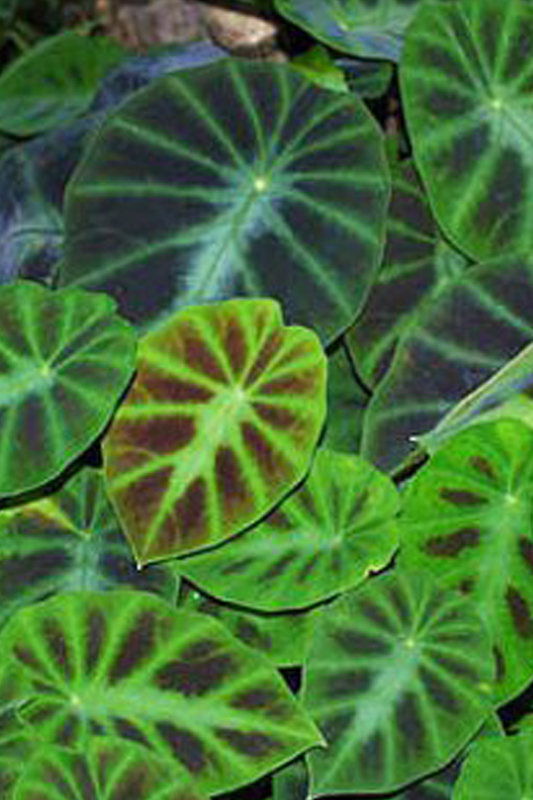 A tiny Colocasia with leaves usually only around 10cm long. The highly patterned foliage makes a lovely display, especially when planted in groups. An unusual plant for the front of a tropical style border, or as a greenhouse specimen.